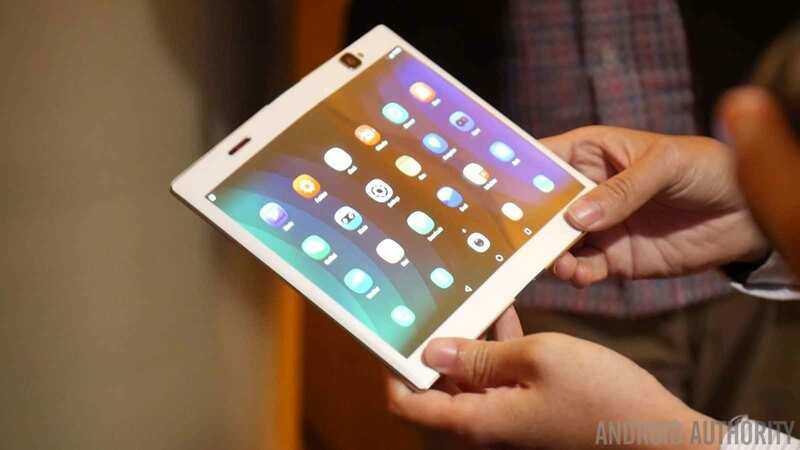 Foldable Smartphone Price In India: Xiaomi, Huawei, Apple, Samsung – The foldable smartphones technology is indeed the next generation of Smartphone tech, undoubtedly. Today in this guide, we will let you know, how actually the mobile phone screens can be folded without even getting a break? Super AMOLED is the current technology in the screens of smartphones. So, will foldable smartphones use Super AMOLED technology in foldable screens? 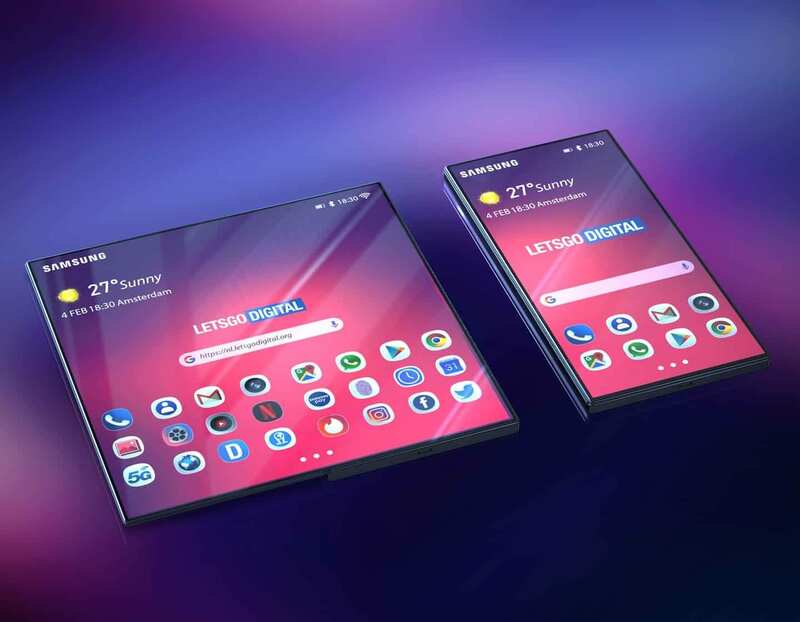 Also, what is the list of all the companies which are expected to release their Foldable Smartphones this year in 2019 or by next in 2020? Who invented the foldable smartphones technology at first? Are other companies copying their tech? Who actually gave birth to Foldable Smartphone screens? And, the most important one is the price of Foldable Smartphones. One thing is for sure, they will cost as much twice as the normal smartphones you are using. 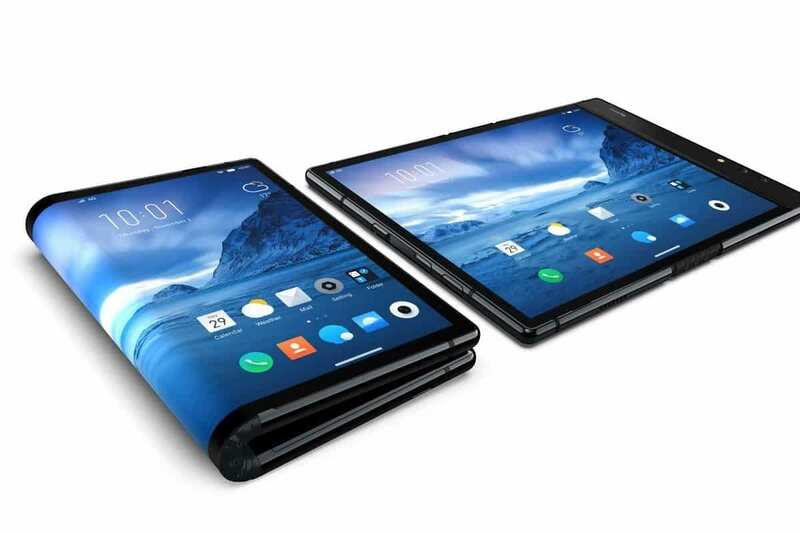 For the past couple of months or weeks, there have been sort of murmurings of a foldable phone, but nothing actually coming to reality. We would see flexible OLED displays in the past and things that were not really functional devices. But nothing had come to reality yet. 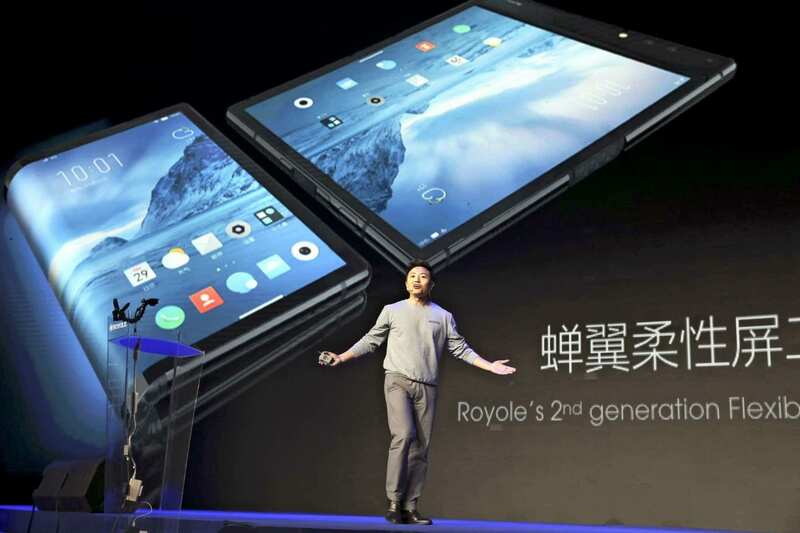 Then a couple of days ago, probably just to beat Samsung with a punch to say that they were first a pretty unknown company called Royale Corporation, unveiled a smartphone called the Flex PI. So, the Royale Flex PI, the world’s first flexible smartphone and without actually trying it and getting hands-on, just judging from footage on Youtube, this is roughly speaking the ugliest thing I have ever seen. It barely actually folds and it is more of just a bend in the middle and there’s a lot of leftover screen in the middle. That doesn’t fold it looks uncomfortable to hold and the actual folding and unfolding process. It is absolutely brutal though graphics are flickering you kind of have to feel like you are almost breaking the phone. It’s a lot, it’s whatever, it’s early through I get it so made this appearance and the only other info we got was the price and the storage. It’s going to be $1300 for the hundred twenty gig version to start whenever it comes out by the way we don’t know when it is supposed to release. But the more familiar story is around the same time, Samsung had been sort of teasing that they are going to unveil their flexible smartphone. There were the beginnings of leaks but not really much for a day, they changed their profile picture to a bent Samsung logo which they changed it back the next day. But, it’s just kind of clever marketing and trolling at the same time they are going to do something. The story of the company that gave birth to Samsung Foldable Screens is quite known, but unfortunately, only to tech-savvy guys. Let’s talk about Folding Smartphones in-depth. You probably heard about this you might even recall a video from 2014 in which Samsung first teased the idea of a folding smartphone all the way back then. And, it’s something people have been talking about ever since. 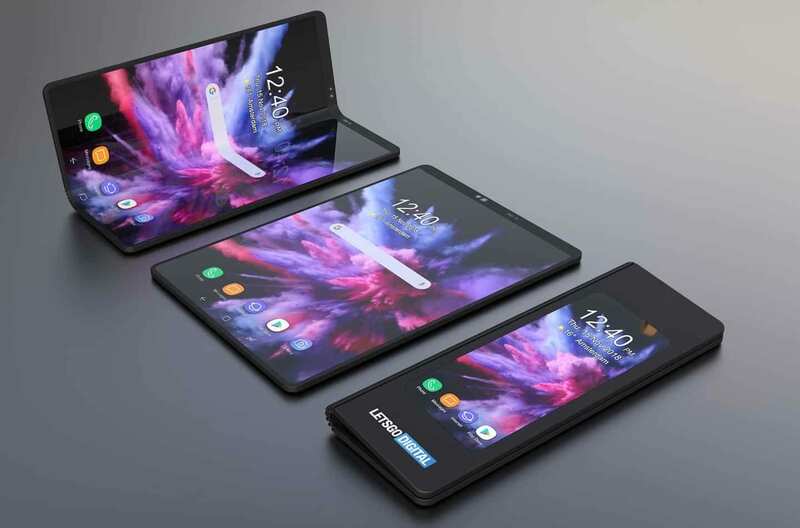 And the reason people are interested in the idea of folding smartphones in the first place is because of the technological advancement that has taken place in displays, allowing them to be flexible. OLED panels, that can spin and turn and fold and so on. Without being busted like a traditional rigid material. Now, if you watch the original video in which Samsung showcased the idea, it was shown in a format form factor sort of like a passport or a wallet. 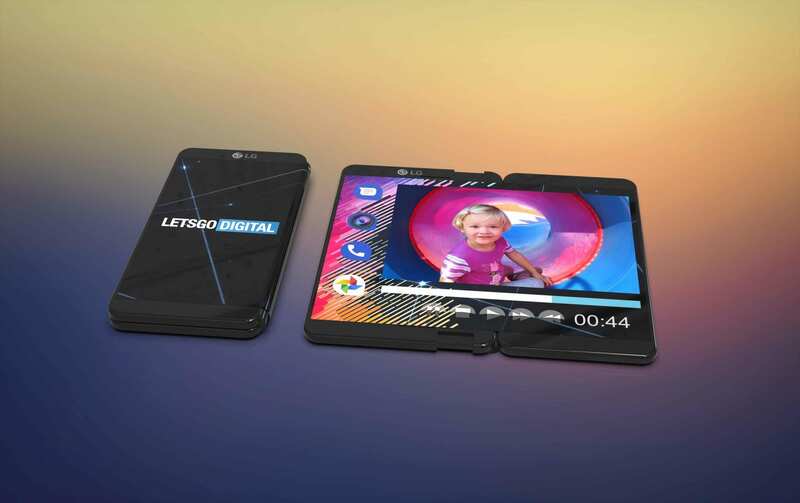 It folded in half with an image on the outside a screen on the outside that you could interact with and then you could fold it open for a larger image, sort of more tablet-like, it’s kind of like having a phone and a tablet at the same time. Now, we have a new development in which the CEO of Samsung has said they are doing it for real and it’s happening this year. Happening in the sense that they are going to announce it, I guess. Because he said, they are targeting the Samsung Developers Conference in November that means, coming November we may be able to set our eyes on the world’s first folding smartphone. Now granted there was a folding smartphone previously. But it was a bit different than what we’re talking about here. There are phones sandwiched together with a hinge. Here it is kind of a cool thing. Messenger on the top display, watch a video on the bottom display or vice versa and in the case of this device, It was incredibly low volume. It wasn’t super popular, so many people have transitioned to their smartphone as their main computing device and are lying there in bed. You know, cranked up, got looking at it like this typing and so on. And, so having the extra real estate there, for like extended usage scenarios, it could be a valuable thing or a thing that people are interested in the biggest player in the smartphone space right now. Samsung says they are going to take it seriously, not like this but instead a single pane that’s capable of folding into itself or away from itself. 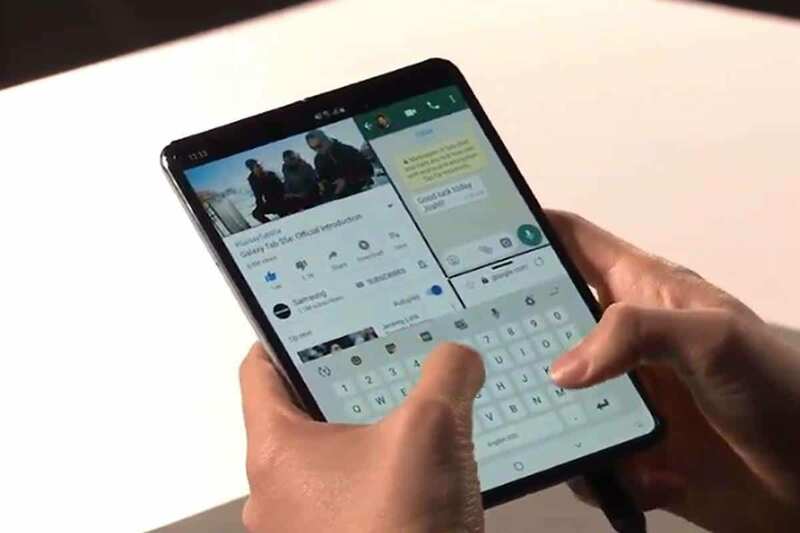 One screen, no hinge, no break, now, to be clear in the statement of Samsung CEO, he said that the device has to be capable of being used in it’s folded state as well as its unfolded state. 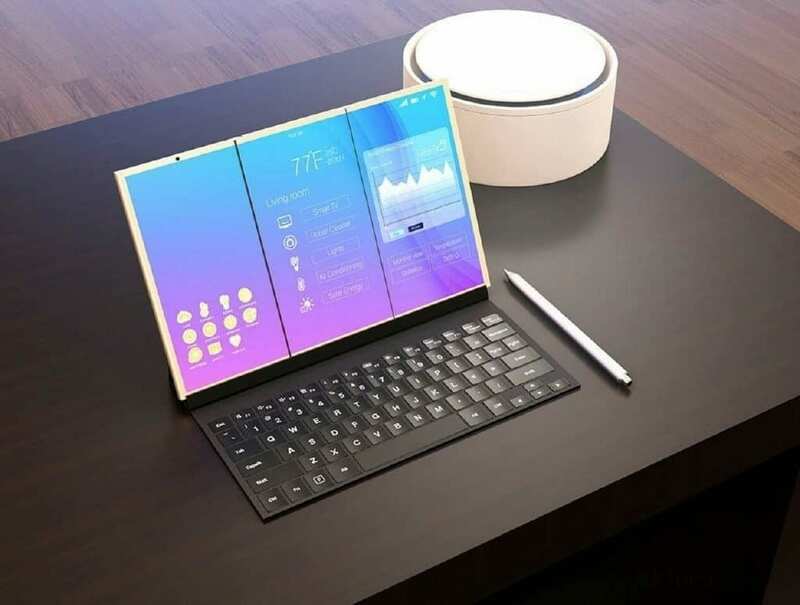 So, some of the prototypes, ALLTECHBUZZ team has seen floating around in which it shows a clamshell, almost flip style device which then folds out to a larger display with no display on the outside. We don’t think, at least based on the language that he is currently using here. Now, at this point, you are probably wondering like what is the big deal here. Why is there so much focus or hype around the idea of a folding display, of course? Already we gave you the reasoning previously, that it could be about multitasking or it could be about having one single device instead of many devices for your computing needs. But we don’t honestly think that’s what’s going on here. I think that there is a technological capability here. From Samsung to be able to do this, so, they are sort of more in the camp of why not. If we can do this right now, compel people to move on from the current smartphone form factor, we can sell a lot more devices if we can put something in someone’s hand. That looks tangibly different from all of the slabs that are out there in people’s pockets. It has become harder and harder to compel people to purchase smartphones around that premium price tag. That price tag that Samsung has lived in for so long with Galaxy products. Now speaking of price, the rumour for this potentially folding smartphone is somewhere between $1500 and $2000 bucks. So they want the premium sticker they will have to deliver something significantly different from what’s happening at the lower end of the market. At the lower end of the market have been climbing up the ranks and getting closer to Samsung in terms of market share, companies like Huawei and others, Oppo and so on. The CEO of Samsung also say that they are going to have a greater focus in the upcoming year on more mid-range competitive devices. Devices with a lower sticker price that can deliver value to compete with all these upstarts including the phone that’s in my pocket right now. From Xiaomi in the form of the Polka Phone F1. Now another area of interest for you will be this particular story is the idea that Samsung is the perfect company to do this and the reason is and I am sure many of you are aware that they are sort of the top dogs in the OLED display space. When it comes to smartphones, many other manufacturers that they compete with rely on them for the screens that will then go into their smartphones, Apple and others. If we all go out and adopt this bendable display smartphone, now not only as an end-product, company selling smartphones directly to customers also. Also as a vendor to other companies, they become more important because these panels are very difficult to make and it’s the reason they don’t have a ton of competition in the smartphone OLED space. And so many manufacturers have to show up purchasing in volume. These screens from them already, this type of technology if they can bring it to scale and deliver it in an end product. Means, that they don’t only corner the market from a customer perspective but they also have the potential to corner the market from a vendor perspective which can have a huge impact on their bottom line. Just imagine, this, the bendable wallet like potentially trifold smartphone becomes ubiquitous everybody wants. On one side, they want Apple to make, one they want Huawei to make one and so on. Where do those companies end up, who has the text and they need it ends up back in Samsung’s pocket? 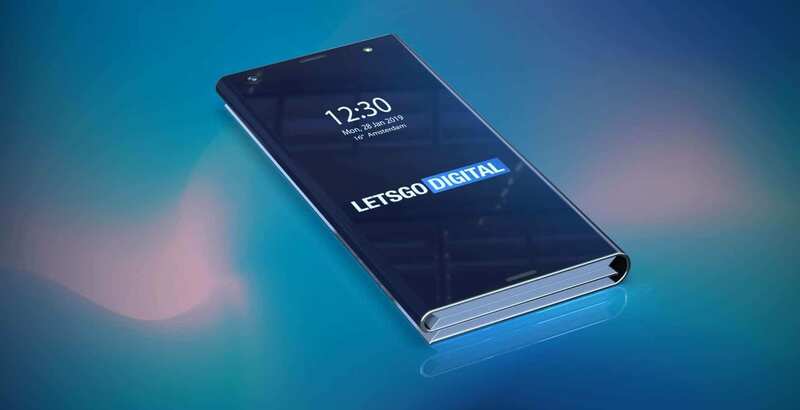 Huawei Mate X, Samsung Galaxy Fold, Royole Flexpai, Motorola, Xiaomi, Oppo, ZTE, LG and many other companies are expected to launch their foldable smartphones soon in 2019. If not this year, all the listed companies will have their Foldable Smartphones Launch Events Live on YouTube by next year i.e. 2020 for sure. Hopefully, with this guide on ALLTECHBUZZ, all your queries related to the technology behind foldable phones, Huawei foldable phone, foldable phone 2019, foldable screen phone, Apple, LG and Samsung Galaxy Foldable Screen Phone, Motorola Razr v4 and Foldable Smartphone Huawei are cleared. But still, if you are having any questions regarding Foldable Smartphone Price In India: Xiaomi, Huawei, Apple, Samsung, do let us know in the comment box below.